Lawyers have attacked the government's anti-terror laws as nine men remain indefinitely in prison without charge. The Law Society, which represents 90,000 solicitors in England and Wales, said it wanted ministers to "resolve the plight" of the men. 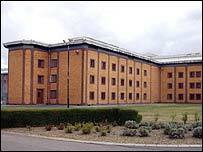 The nine have been in prison in Belmarsh and Whitemoor for three years without charge or trial. "Indefinite imprisonment without charge or trial is totally unacceptable," Law Society president Edward Nally said. "Some of these prisoners have now been detained for three years and the time has come for them to be tried or released." Last month the Law Lords ruled that their detention was unlawful as it contravened international human rights law. Home Secretary Charles Clarke has said he will respond to the ruling in the next few weeks. Last week he said Britain was discussing an agreement with some north African countries to ensure some of those detained could be deported without facing the risk of torture and execution. Under human rights law, people cannot be deported if they face physical danger. Law Society chief executive Janet Paraskeva told the BBC "the [Law Lords] have ruled that the government's actions are incompatible with the Human Rights Act and this is something that the Law Society has been pointing out for the last three years." "We want the government to take action now and bring these men to trial." She said the society understood the reasons for the government imposing the terror laws following 9/11, "but three years on we believe that men should be brought to trial". "We must make sure that the rule of law is upheld - everyone has a right to trial. "It's not a question of guilt or innocence, it's a question of due process," she added. The Home Office said it was studying the Law Lords' decision in December and at this point had little further to add.